to blend some light pink ink in a small focal point section. I used clarity brushes for this. Remove your post it tape mask and add an accent strip of Washi tape. I went with a narrow rose gold piece. 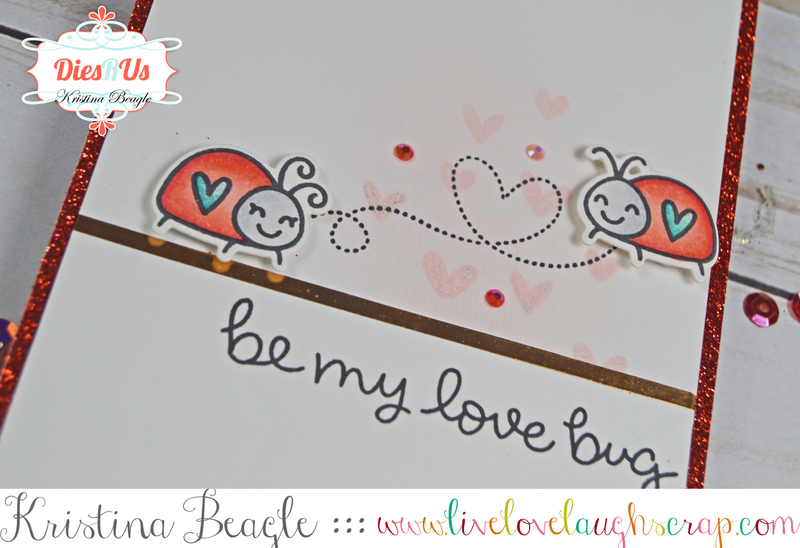 For one added piece of interest I stamped one of the bug trails from the set, in the shape of a heart onto my background. 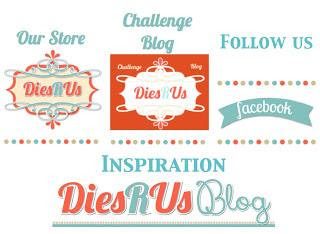 Stamp, Color, and Die Cut your images and adhere with foam tape or other dimensional adhesive. 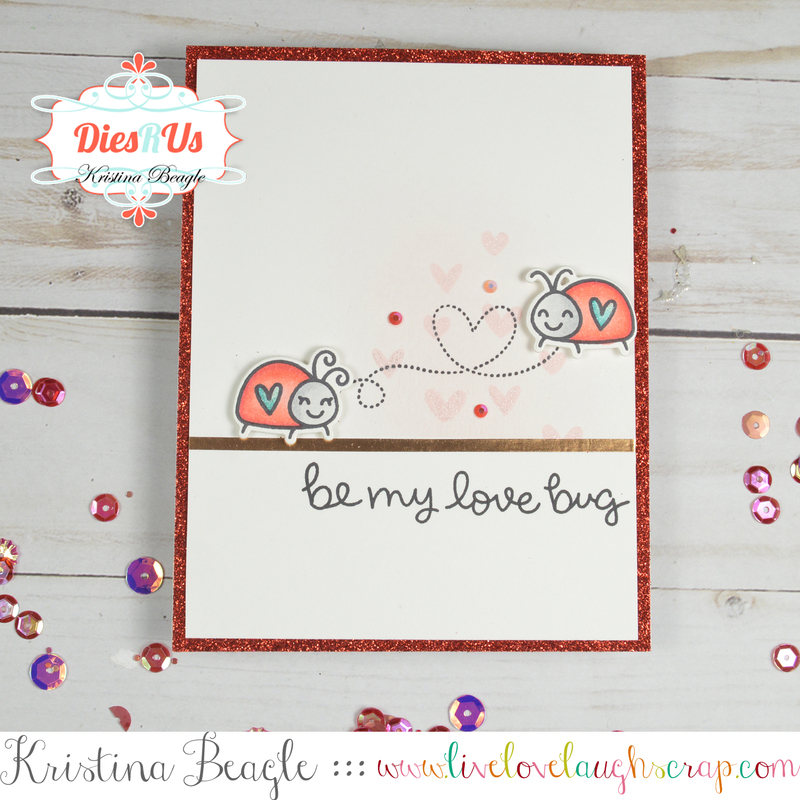 To finish, I mounted my card onto some glitter card stock with Extreme adhesive, added some shimmer pen accents to the lady bugs, and a few gems to round it all out. And there ya have it! Thank you for stopping by today. You can find my supplies linked below, and I'll see you back here same time next week! Love the clean design with these adorable bugs! Fun & Fab, Teamie.